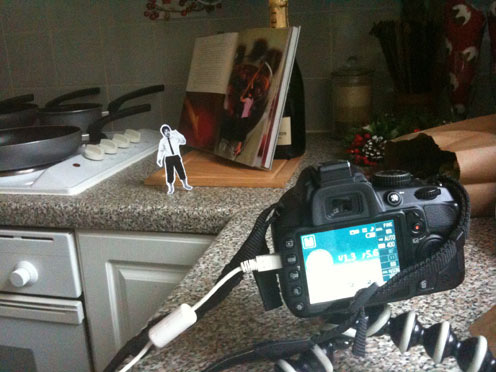 Our stop motion Christmas animation. 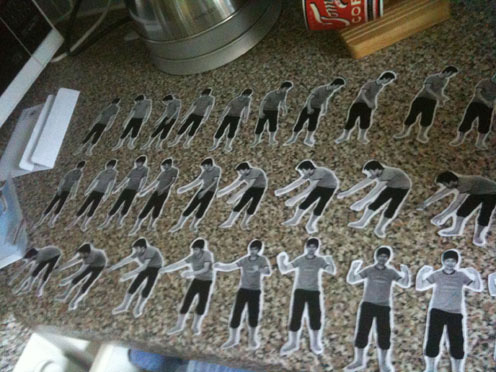 Each pose was photographed and cut out for every movement. 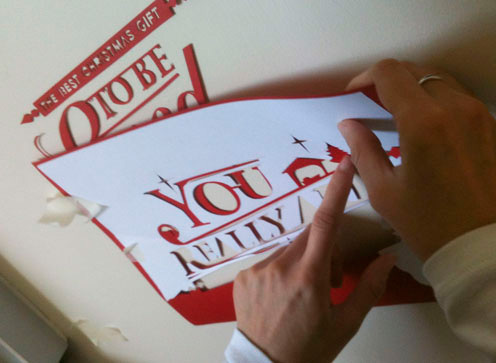 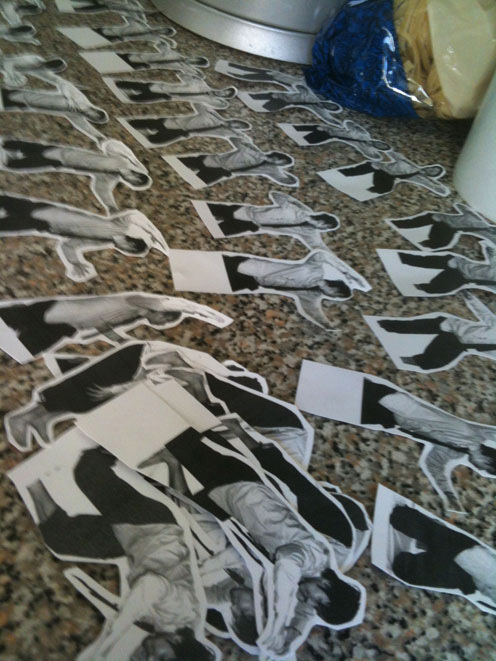 We made hundreds and hundreds of cut out black and white printouts and manually cut them by hand. Finally completed after a huge amount of patience and many late nights after work.